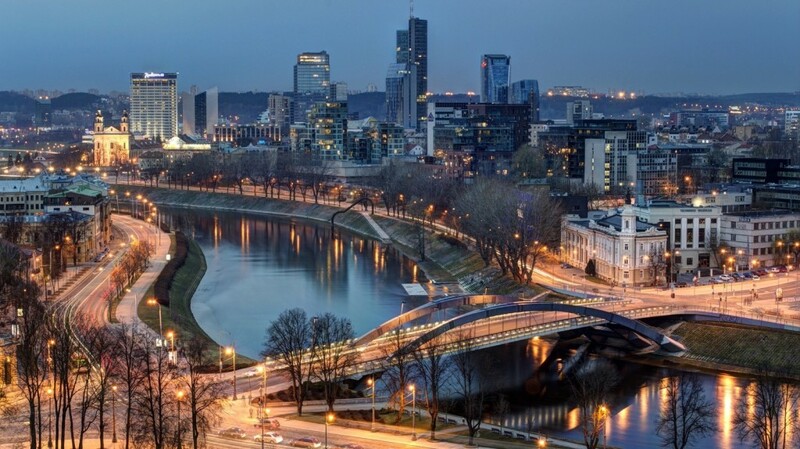 Vilnius was firstly referred to as the capital of Lithuania in 1323 in letters of Grand Duke Gediminas to the Pope. Like the majority of medieval towns, Vilnius was developing around the town hall built in classical style. It is located to the east of the Baltic coast at the confluence of the rivers Vilnia and Neris in 40 kilometers from Belarusian border, surrounded by beautiful planted trees and hills. The population is 539 939 people. The main sightseeing of the capital is the Old town, its streets and buildings with numerous monuments and memorial plaques. The largest and most complicated architectural ensemble is the complex of Vilnius university, which consists of 13 buildings including the church of St.Jones and the belfry. Besides that, Vilnius has over 50 various national and city museums. The historic center is declared a UNESCO World Heritage Site.